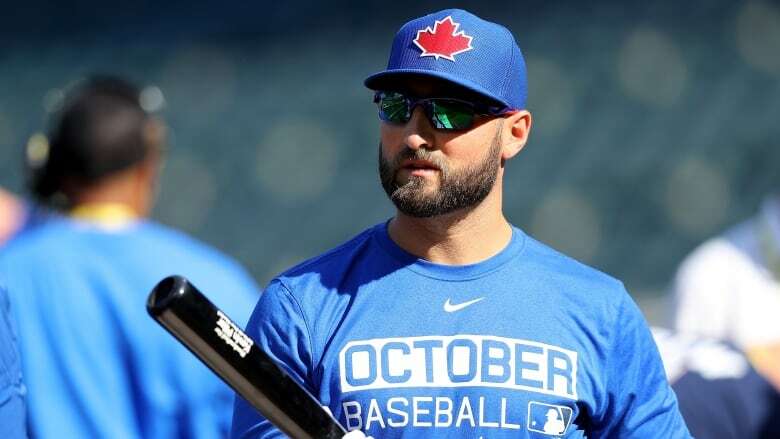 Toronto Blue Jays fans who identify with the LGBT community say they're disappointed after centre-fielder Kevin Pillar was captured shouting a homophobic slur during a game. Some say it will take drastic steps to make things right again. Toronto Blue Jays fans who identify with the LGBT community are struggling to make sense of Kevin Pillar's use of a homophobic slur. Pillar directed the slur toward Atlanta Braves pitcher Jason Motte after striking out in the seventh inning of Wednesday's 8-4 loss. On Thursday, he issued an apology on Twitter and called his use of the slur inappropriate. He has also been given a two-game suspension by the team, a penalty that managers said Pillar completely supported. "I had just helped extend the use of a word that has no place in baseball, in sports or anywhere in society today," Pillar wrote. "I'm completely and utterly embarrassed and feel horrible to have put the fans, my teammates and the Blue Jays organization in this position. I have since apologized personally to Motte, but also need to apologize to the Braves organization and their fans, and most importantly, to the LGBTQ community for the lack of respect I displayed last night. This is not who I am and will use this as an opportunity to better myself." The apology comes after a torrent of complaints that followed his initial post-game comments, in which he described the incident as "part of the game" and something that happened in the "heat of the moment." "He's coming out with a response that he was angry, that he's a competitive guy, that's not an apology, right?" said Melissa Jordan on Thursday morning. Jordan, 35, is a Blue Jays superfan — she recently got a tattoo commemorating the team's two World Series titles — but she sometimes struggles to justify her fandom to friends within the LGBT community. "Sports isn't a thing that they celebrate because they were bullied when they were kids," Jordan said. "And then when something like this happens, it makes that right. It enforces that feeling." 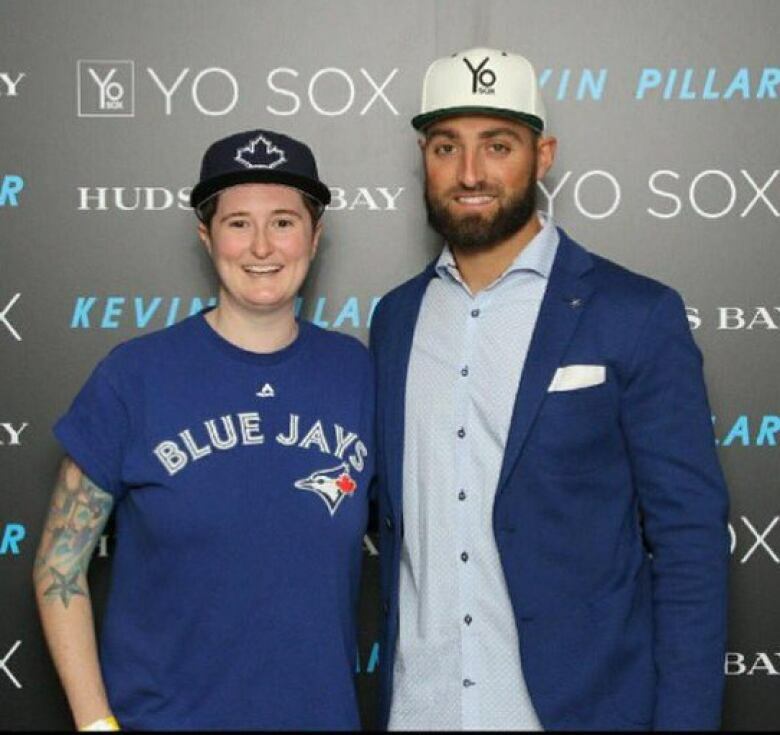 Jordan has met Pillar at a fan event and owns his jersey, which she may not wear again. Heather Ross and her eight-year-old daughter follow the Jays from Saskatoon. They missed the broadcast of Wednesday's game, but they'll be discussing what Pillar said. The incident was especially concerning because her daughter has two moms. "We have to have a conversation about it, and it's going to be difficult, it's always hard when somebody you look up to disappoints you," Ross said. The organization You Can Play, which advocates for "equality, respect and safety" for LGBT athletes and fans, is commending Pillar for addressing his slur, but the group has taken issue with his first explanation. "We appreciate Kevin Pillar taking responsibility for his use of a homophobic slur. But slurs don't have to be 'part of the game.' And a homophobic slur doesn't have to define Kevin," wrote You Can Play president and co-founder Brian Kitts in an email. You Can Play has formal support and training partnerships with the National Hockey League, Major League Soccer and the Canadian Olympic Committee. It has also done work with both the Blue Jays and Major League Baseball. "Every statement like Kevin's, made in the 'heat of the moment,' is an opportunity to improve baseball and sports for every player and fan," Kitts wrote. Despite his later more thorough apology, some fans say they won't be satisfied until Pillar and the team take some type of action to reduce discrimination in the sport. "I'd like to see Pillar and I'd like to see the Jays take some leadership on this and say that this can't be part of the game," Ross said. "Just saying sorry isn't enough," said Jordan after reading Pillar's Twitter apology. Major League Baseball is investigating the incident, and the team management announced Thursday afternoon that Pillar would not play against Atlanta Thursday and would also sit out the next game. "The organization is taking the situation seriously," Blue Jays spokesperson Jay Stenhouse said in an email. In 2012, the Blue Jays suspended shortstop Yunel Escobar for three games after Escobar took the field with a Spanish homophobic slur written on his eye black.